From the architect. Hillside House project is located among an area of about 1000sqm which is a part of a resort beside Bùi brook, Hòa Bình; that takes 55km from Hà N?i to the west. This place is where Mu?ng ethnic people habit. The murmur all year of Bùi brook along the 45 degree sloped hillside is considered to be the most marvellous scene of the area. However, there was a limitation in construction here. So, this was a tough challenge for the architect in planning overall traffic. 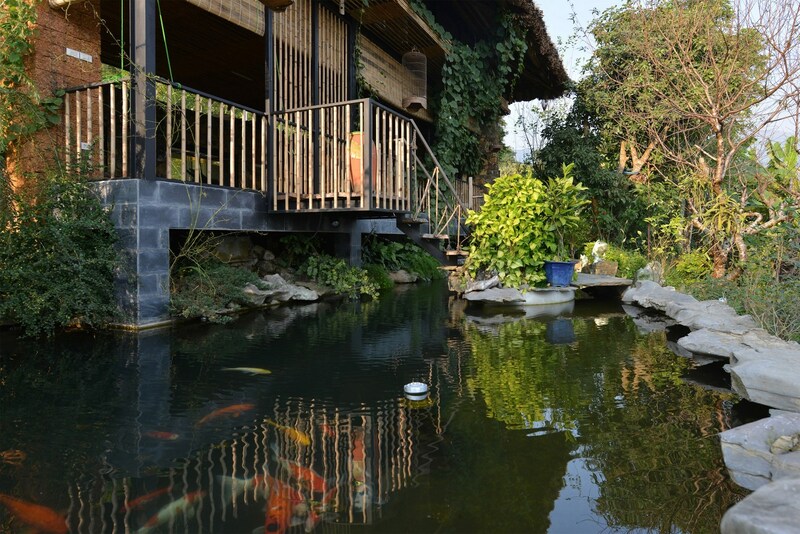 The owner of house works in construction field, and he desires a place not only for his whole family to relax during weekends but also a house that friendly to the nature, suitable to the native architecture, saving energy and low cost. 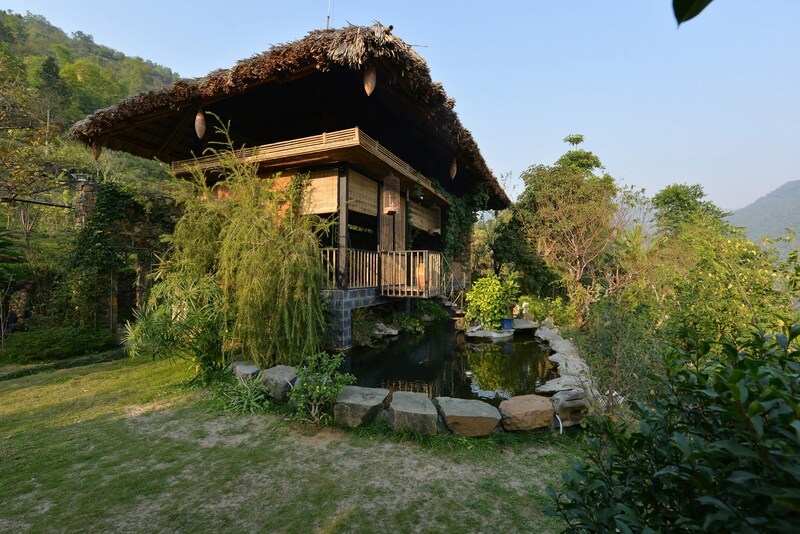 From all above elements, the architects design “Hillside House” which is inspired of Mu?ng ethic traditional house on stilts. Constructed materials are mostly from nearby area like quarry stone, bamboo, palm leaves, etc…combines with specific Vietnamese northern materials such as slate stone, yellow laterite. Structure of the house is made by steel frame, which is quickly constructed, light and durable. Construction workers mostly are Mu?ng people, that’s why the architects try to give a simple but useful solution. There are a ground floor and an attic. The ground floor is about 70sqmarea which includes living-dining-kitchen space, one standard bathroom. The 1st floor is 1,2m higher than the ground land around so that people could have the best view of the scene, and to stay away from insects. Moreover, the atmospheric convection creates comfortable atmosphere, reduces endosmosis from the ground. 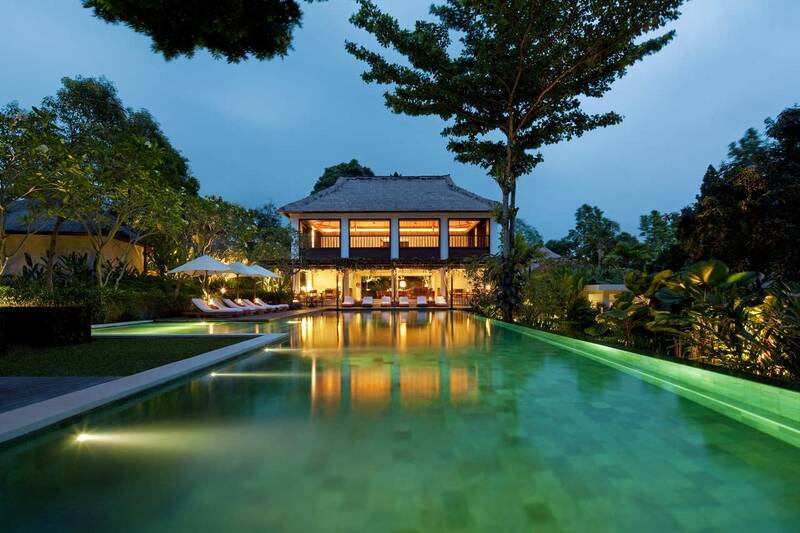 Surrounding pool is an interesting highlight, it makes the air cooler before flowing through the house. 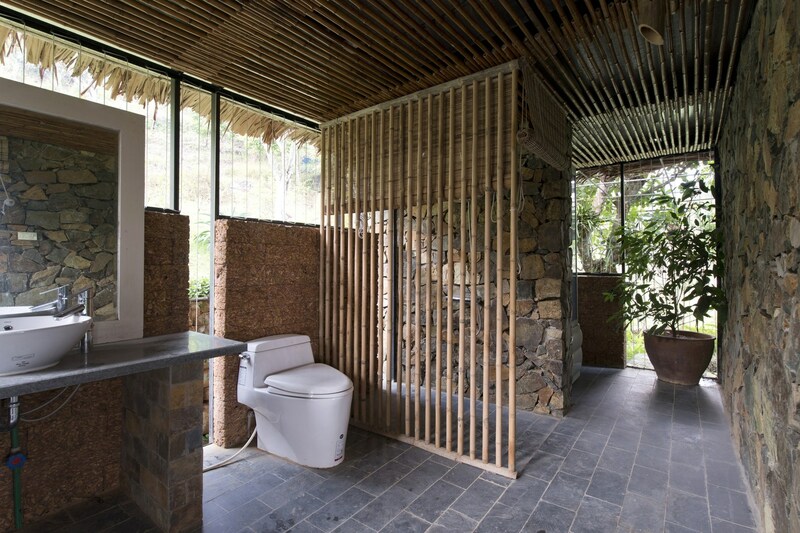 The cover solution is the bamboo curtain system. Each time the curtains are rolled up, the scenery can be enjoyed through the I shaped steel column system, and the bamboo curtains accidently become a romantic nature picture frame. The second floor is 50sqm area includes multipurpose space and bedroom, covered by glass not to limit the view. 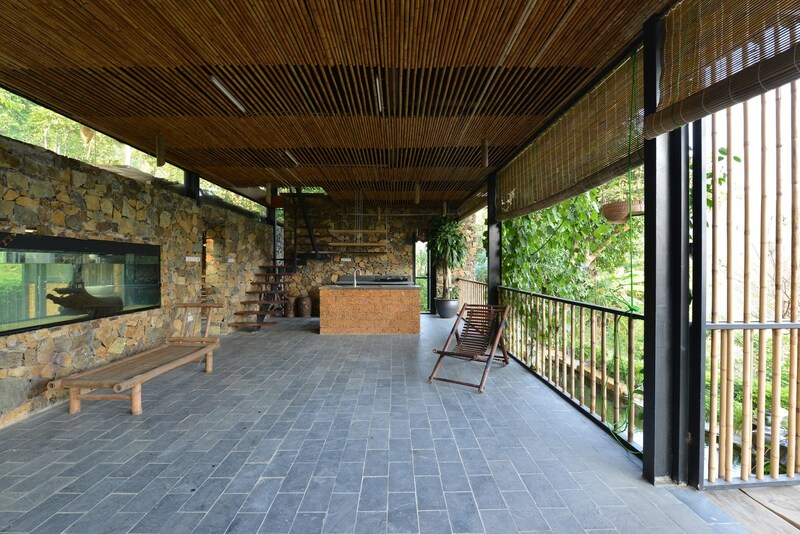 The roof is made of bamboo resigned frame and covered with 50cm thick palm leaves to make it cool inside the house even if during the hottest day of summer. Irrigation and clean water is supplied enough from the underground water stream and rain water which was filtered by natural materials, so tap-water is no longer required.